A Year of Being Here: Laura Davies Foley: "The Offering"
Bare earth fills long spaces of a field. lying upturned on the path. a cup of deep, unending sky. "The Offering" by Laura Davies Foley. © Laura Davies Foley. Published here via poet submission. 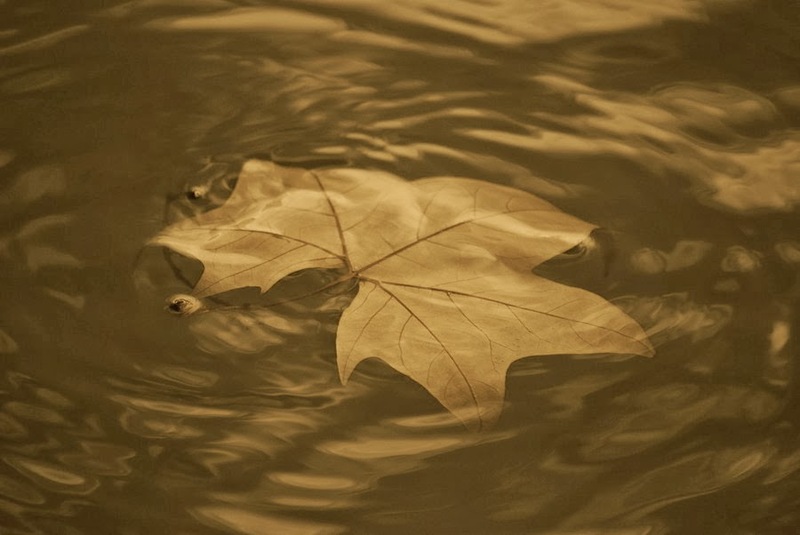 Photography credit: "Leaf on the Water," by Noemy009 (originally color).